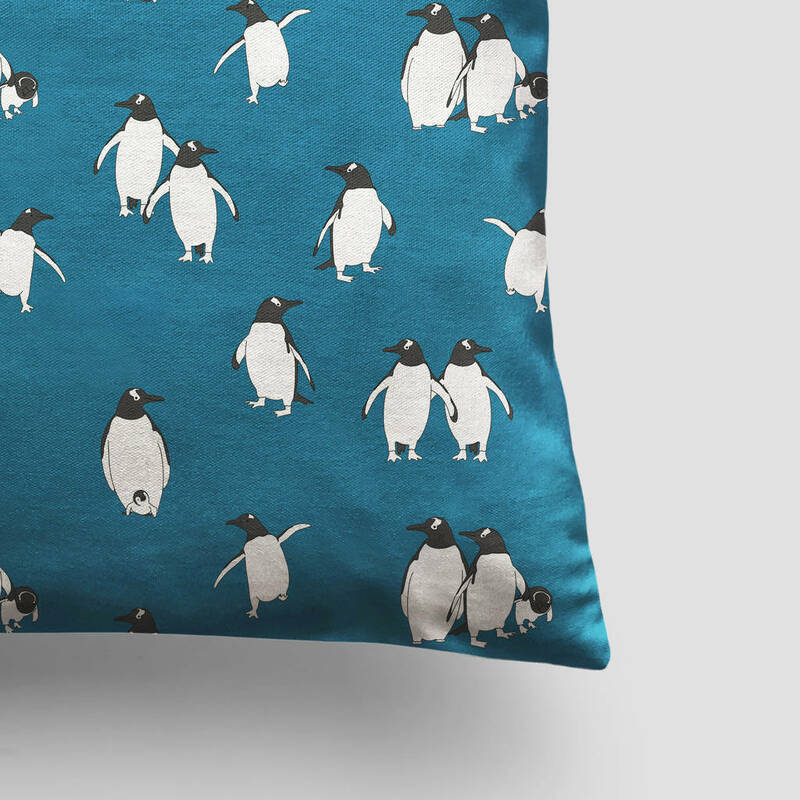 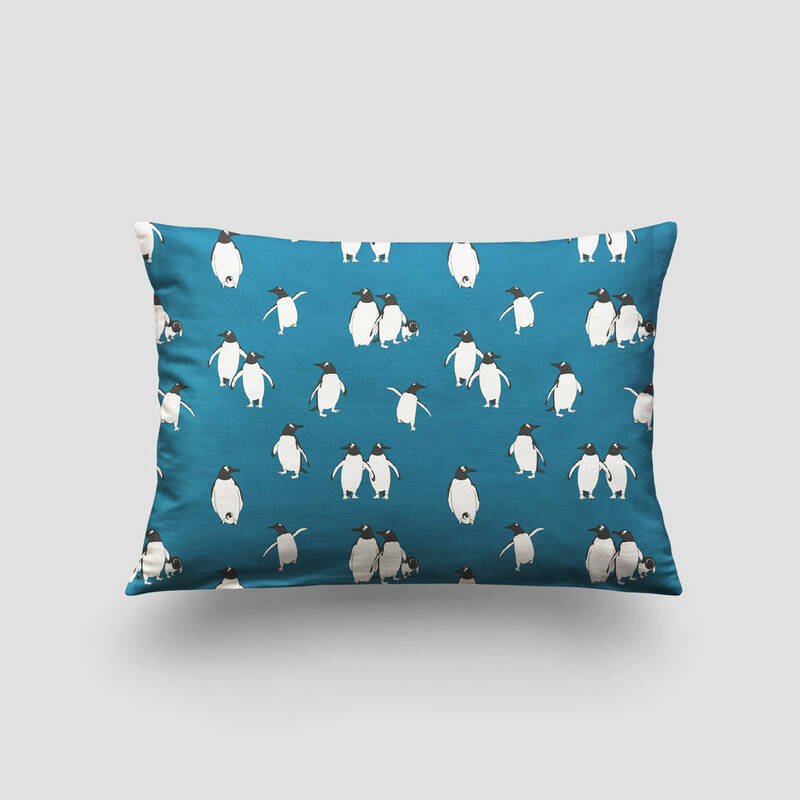 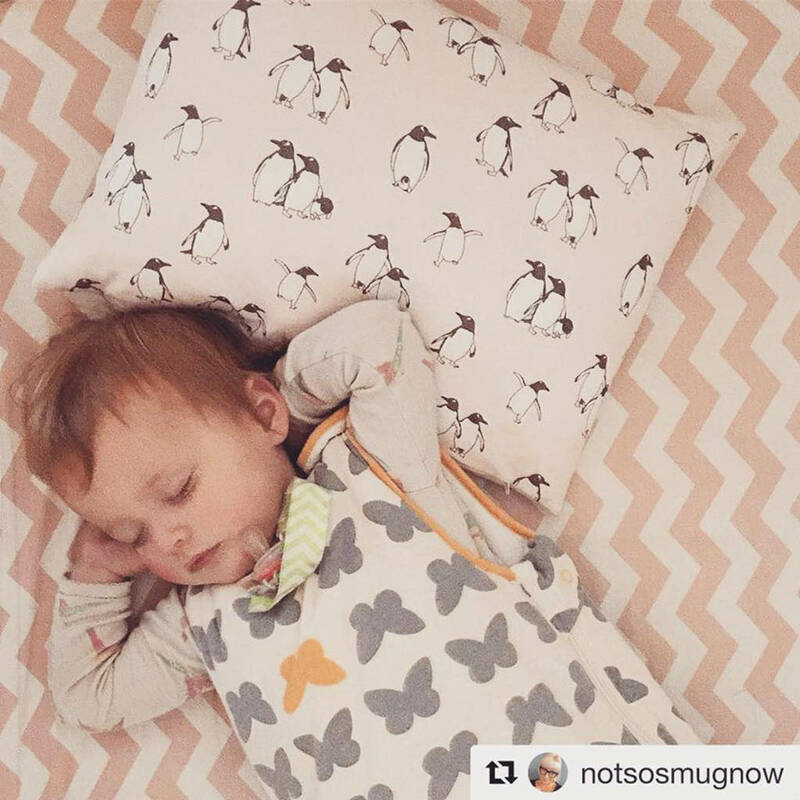 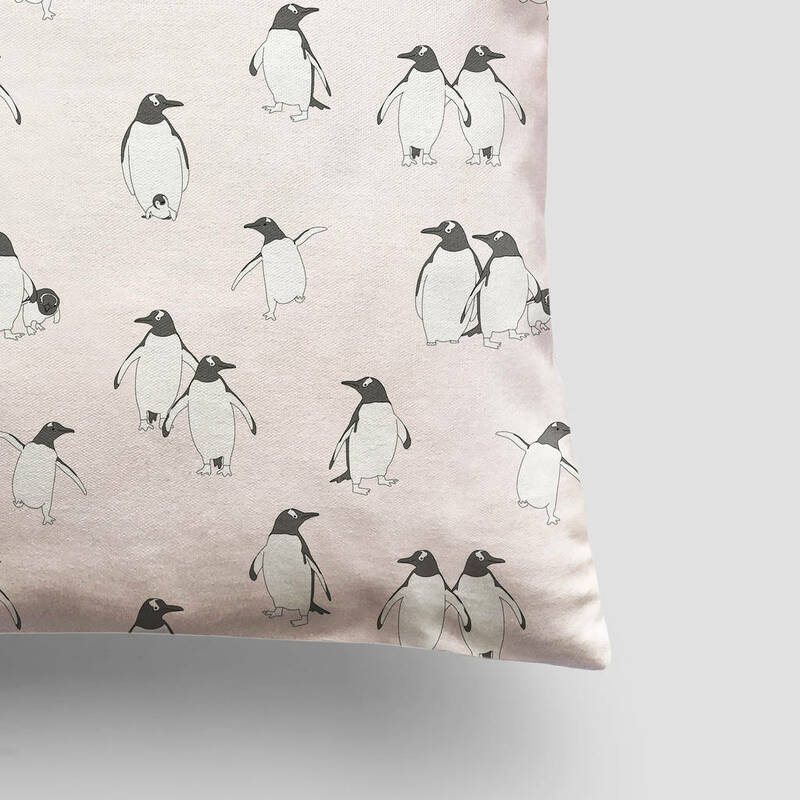 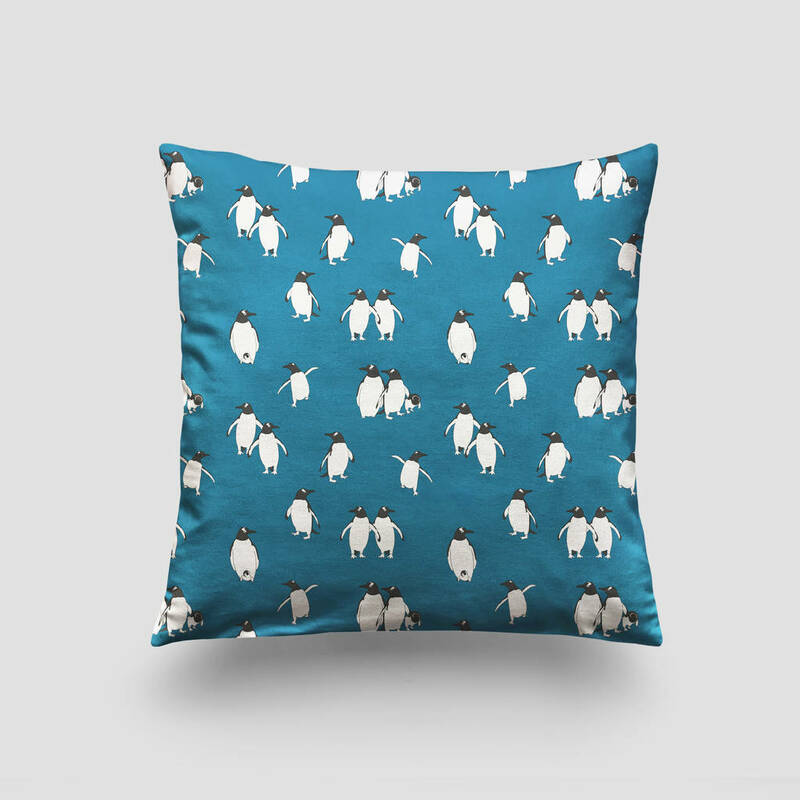 Gorgeous Penguin print cushion cover. 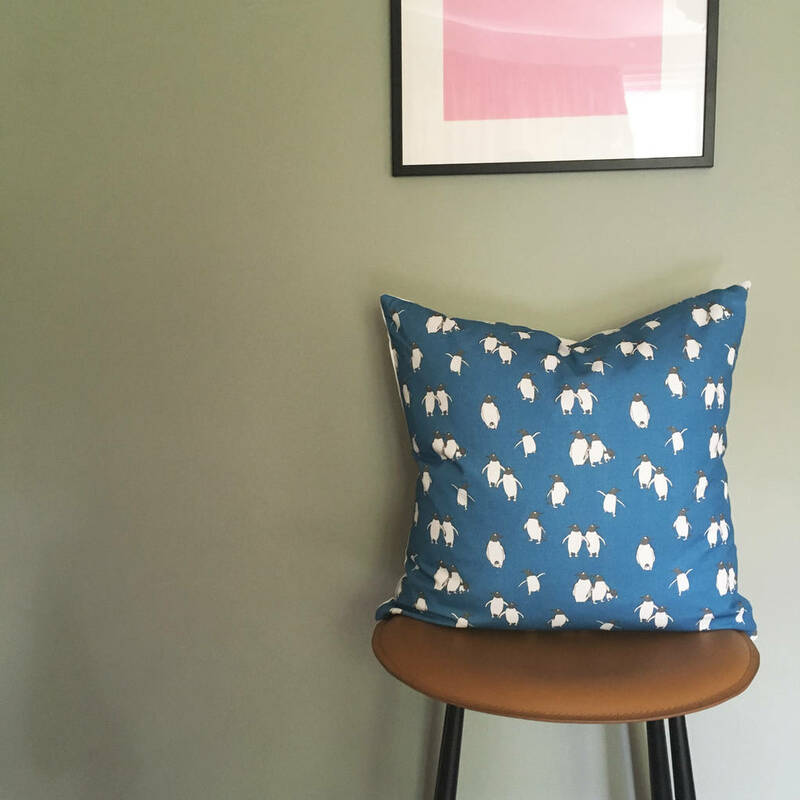 New to Anamoly and to compliment the wallpaper range, we have incorporated matching fabrics, beautiful digitally printed panama cloths, all 100% cotton. 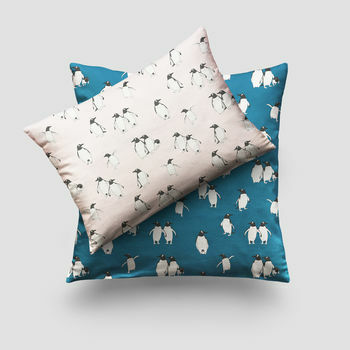 These fabulous cushions will make the perfect gift to compliment any nursery, bedroom, or playroom. 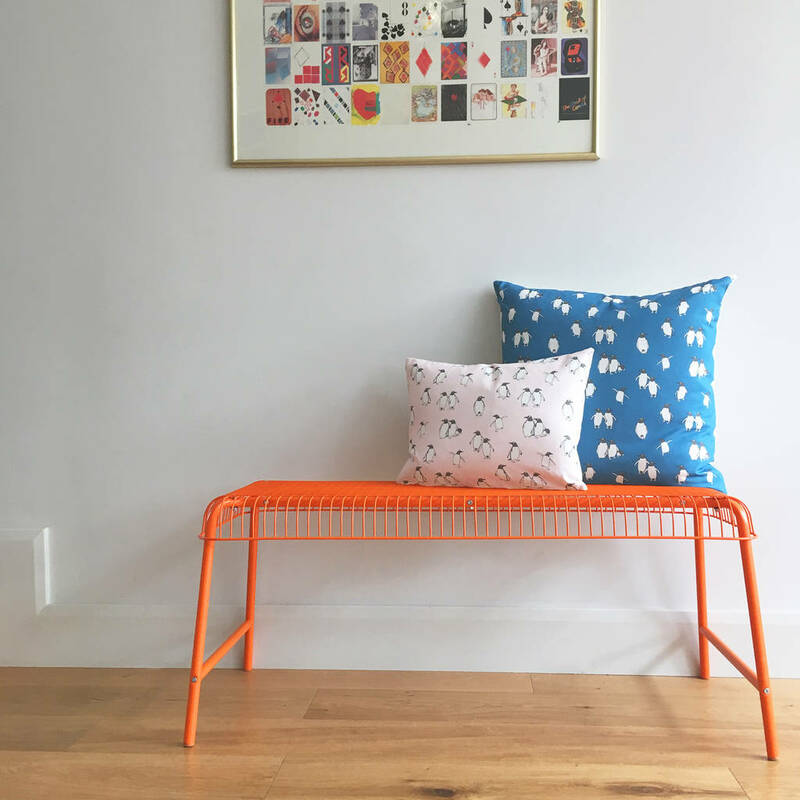 Available in a range of prints, and on-trend colours, to suit every scheme. 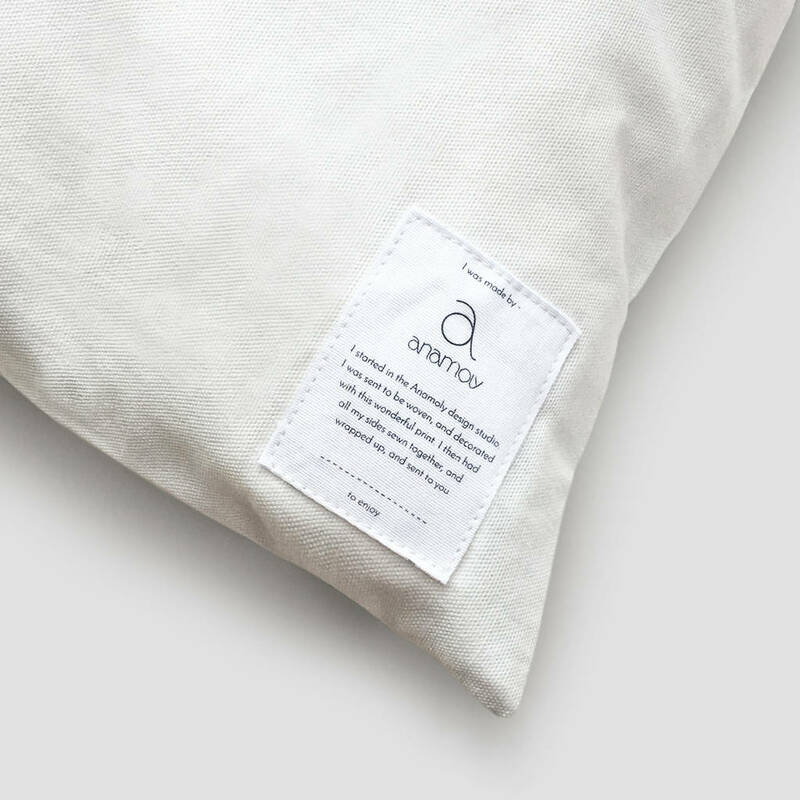 Featuring a personalised label with the option to add the recipients name, makes the gift extra special. 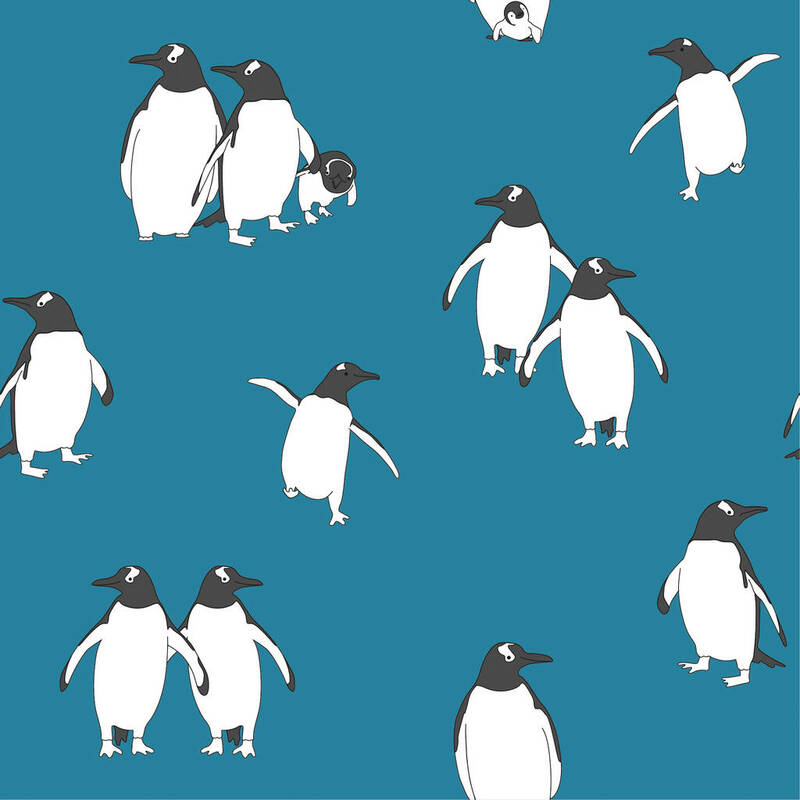 As a company philosophy, we have an evergreen attitude, all our fabrics are designed, woven and printed in the United Kingdom. We offer them in two sizes, and they both have a easy zip fastening. 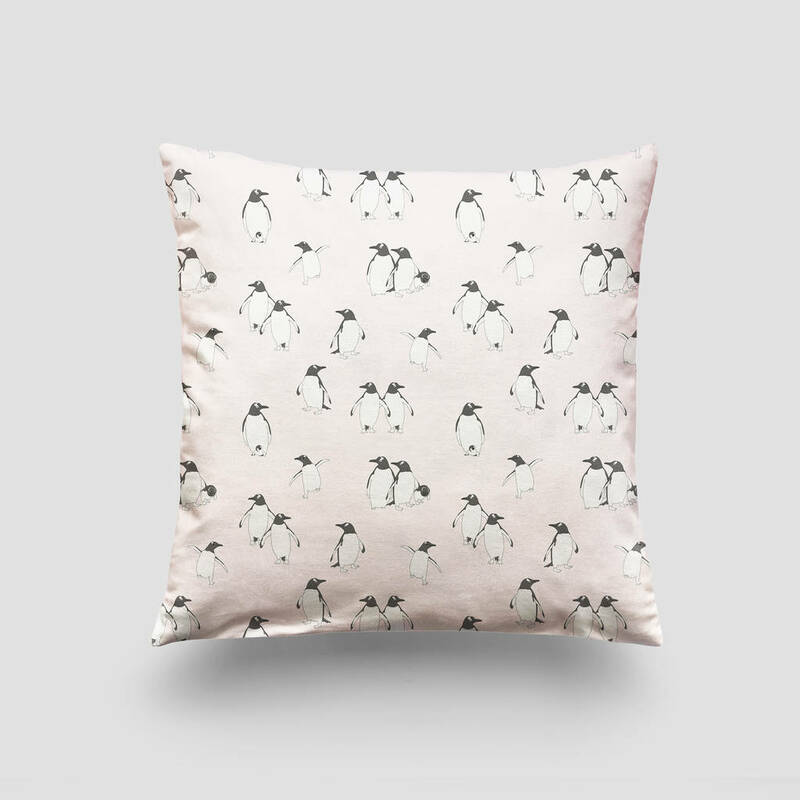 * Cushion pad not included. 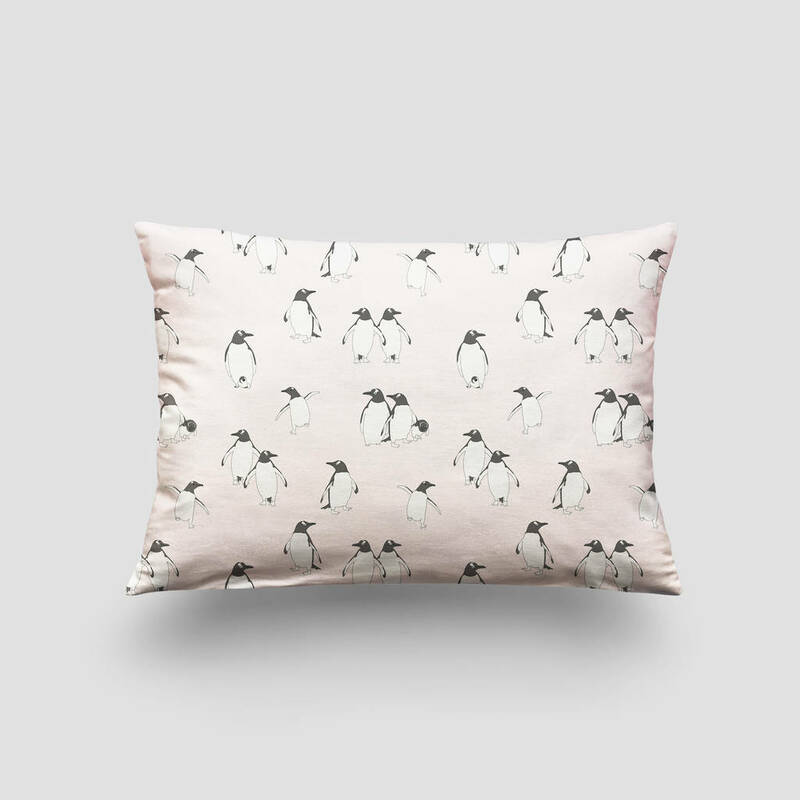 This product is dispatched to you by Anamoly.